The Valentine’s Day preparations are in full swing in my kids’ school. 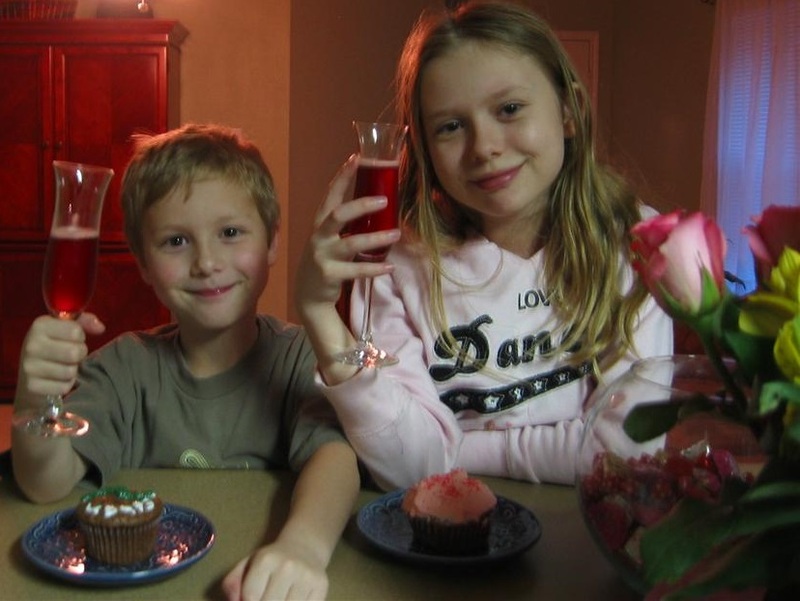 They will be having a party and a Valentine cards exchange– the same protocol as in the past years. They pretty much know the drill by now: buy (or make) Valentines, sign one for each child in their class, bring a box (preferably decorated) to take the Valentines home, and bring a food item for the party. The kids are fine with the routine, and don’t question it. The anticipation of the pounds of sweets that will be consumed have kept them excited for a couple of weeks now. 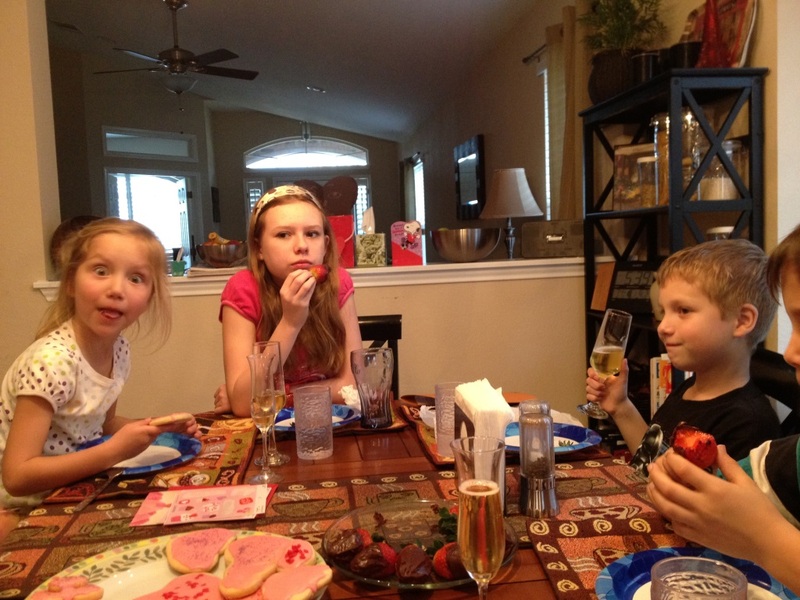 Kids “Champagne” (aka bubbly fruit juice) is a must! 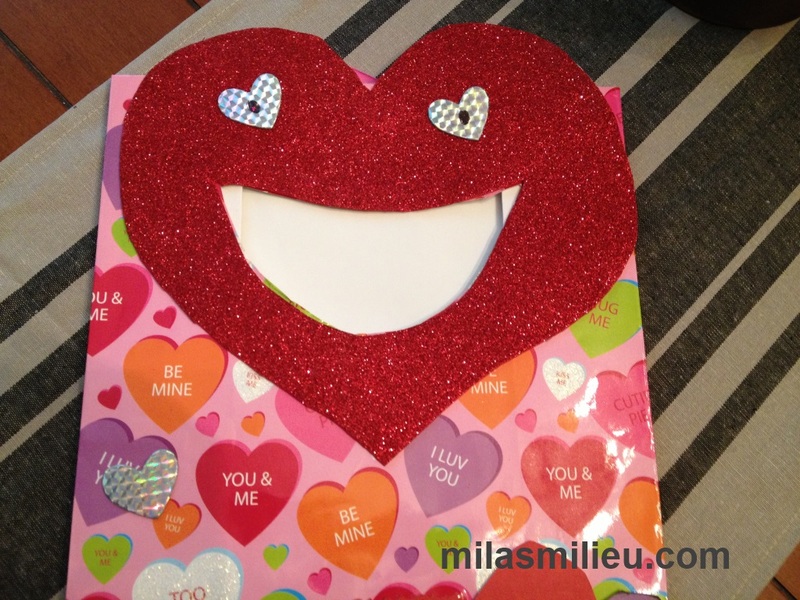 and decorated bags to receive Valentine cards (in lieu of boxes), which without fail, would come home full of (mostly) store-bought cards and 25 or so pieces of sweethearts and lollipops. This year, however, something was bothering me about this routine. I realized I have been craving more meaning behind the traditions like Valentine’s Day, and less going through the motions. Buying a generic pack of cards to distribute it among all kids in class, including those that you are not really fond of, doesn’t really express the meaning behind the tradition: to show your appreciation or love to important people in your life. Crafting hand-made cards bumps the fun up a notch, but doesn’t fix the problem of awarding a girl/boy, who you are not friends with, a manifestation of your warm feelings where there are none. I understand the sentiment of “everyone brings a card for everyone”: we don’t want to hurt anyone’s feelings. But will this attempt at fairness teach the kids to leave behind disagreements and be friends with each and every person in the class? This is not how relationships work in real life: one cannot be friends with everyone, and it is completely normal. We are not teaching them real-life relationship skills by encouraging them to show “love” en masse. Relationships are such a sensitive and complicated area. Figuring out all angles of successful relationships is a life-long learning process. The sooner the kids start that process, the better the chances they will be well equipped and adjusted for adult world. 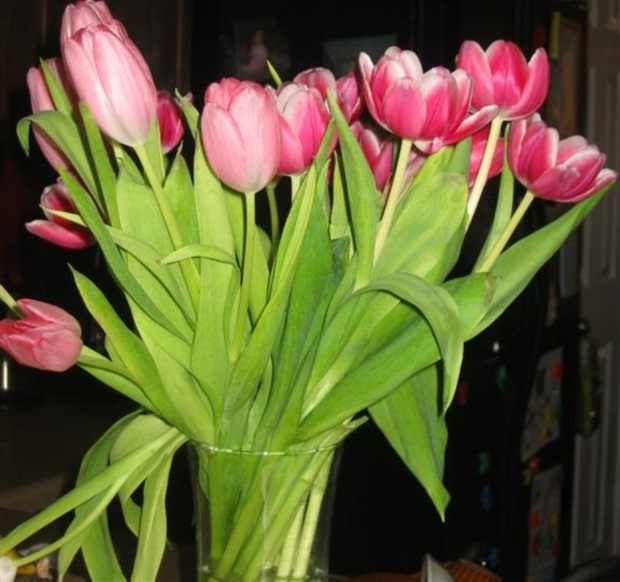 I would love for the Valentine’s Day tradition to be one of those teaching moments. After discussing this with the kids we decided to switch things up this year. Instead of Valentines cards, each child in the class will receive a home-made cookie. This way everyone will get a treat and won’t feel left out, while Valentines will be reserved for close friends. Bonus: kids and I love to spend time baking together, and we are looking forward to creating some special cookies for sharing. I will be posting the recipe we chose soon! How do you feel about kids and Valentine’s Day?